If you don’t know the word yet, growler might conjure up a children’s books image of a massive, hairy creature blurting from somewhere deep down in a cave. If you do know it, you may have more sexual associations. Either way, if you didn’t associate it with beer before, this is bound to change. Soon. Because, as with so many things that turned craft beer drinking Amsterdammers enthusiastic over the past few years, growlers are a big thing in the US of A. So, why is this such a hit with our American “forerunners”? Well, in craft beer land, growler refers to a jug or bottle that enables you to carry and store draft beer. You might spot a few factors with a debilitating effect on your beer there (exposure to bacteria, oxygen and/or light). But: the growler system has evolved up to a very sophisticated level. If you want to arrive home with your beer as fresh as when it entered your growler, you don’t just connect it to a random tap. 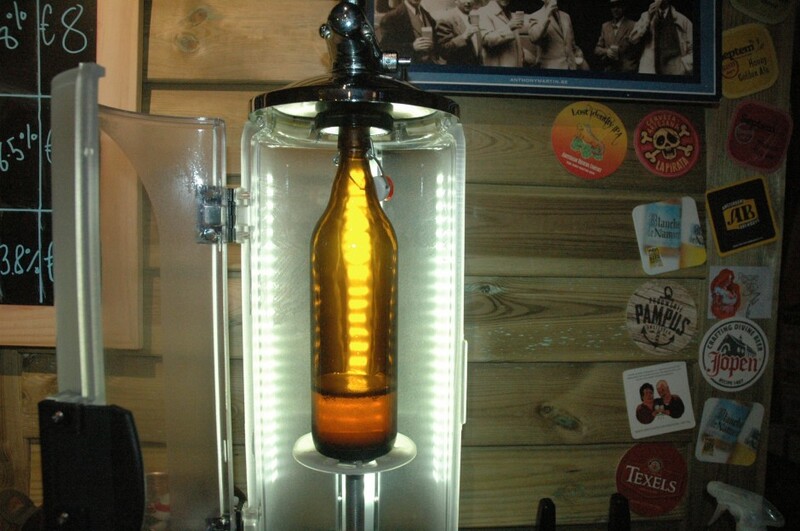 There are wonderful installations to ensure that your beer retains its cherished qualities after entering your growler. 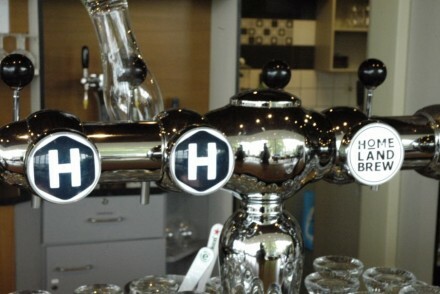 Unfortunately, these professional growler fillers are very hard to find around Amsterdam. Actually, the only place we knew sells and actively promotes American-style growlers, is The Beer Tree. So we went to check them out in order to find out what this growler thing is all about in practice. Not in vain, because they gave us an elaborate demonstration on the workings of their filling station: the Pegasus Growler Filler. It appears to be quite a basic machine, with minimalistic design. It’s a Russian product widely used in the States, which – as Australian owner Fraser Robertson points out – tells you all you need to know about the quality. It’s connected to four kegs, each of which you can select with a switch. So you pick a beer and place a disinfected 1 litre bottle under the tap. But before it’s filled, the machine makes sure the bottle is vacuum, so your beer won’t suffer from the oxygen in there. Beer then trickles down to fill up the bottle which is subsequently closed with the kind of “swingtop” that you know of the famed Grolsch bottle. You’re ready to go and hammer the catch wherever or store it for up to two months. From what we gathered from the good folks at the Beer Tree, this thing is starting to catch on in the neighbourhood. Those who once decided to opt for a growler hardly opt out any more. They prefer the well-priced, large bottles of draft beer over the “pre-bottled” 33 ml units and keep returning with growler in hand. As a result, the four 50 litre kegs attached to the station never last long. Most finish in about a week or two, while popular stuff, like local heroes Oedipus‘ Mannenliefde, might sell out in less than two days. 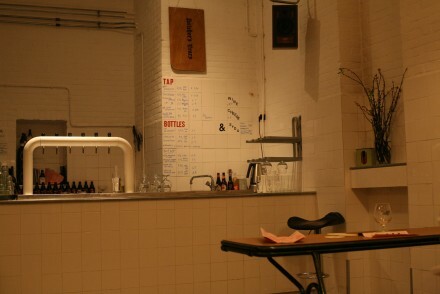 Owner Fraser Robertson seems determined to push this emerging “growler culture”. In the future, the Beer Tree should be in the possession of equipment to customize growlers. In addition, Robertson also plans to start selling the Pegasus filling stations soon. So, this seems a thing likely to stay, and for very good reasons. For drinking delightful, fresh craft beer at home. Or for easy quality drinking in the park on a thirsty summer day. Or for making a very good impression at parties. And so on. 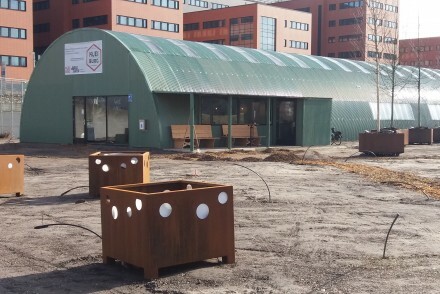 Go check it out at the Beer Tree and get educated on one of the great new things in Amsterdam’s craft beer land. But, beware, this might change your drinking behaviour for ever. You ready?